Hello JUNE! We finally meet again. How time flies, it's already half of 2013 which also means that it's Back-To-School time once again. Some schools had started their classes today, June 3. My school boy will start theirs next week which is the reason why I'm still 85% to completion for our preparations. I've done some back-to-school shopping mid-May covering major purchases such as school uniforms, school bag, lunch kit, shoes and some accessories. This time, what I am busy with is covering his notebooks and books and buying the remaining small items for his grooming kit to say I'm 100% done with back-to-school preps for him. Speaking of writing notebooks, I'm a bit particular with the quality of my dear school boy's notebooks. Their school sells their own but it was sold-out when I was supposed to buy for him. Plus, I find it a bit expensive for P45.00 each! So off to National Book Store we went and my practical shopping powers boosted once more. Notice how the print on the next page could be seen on the current page? It's that thin. The paper wasn't that white too. Below is an image of the notebook that I chose for him. 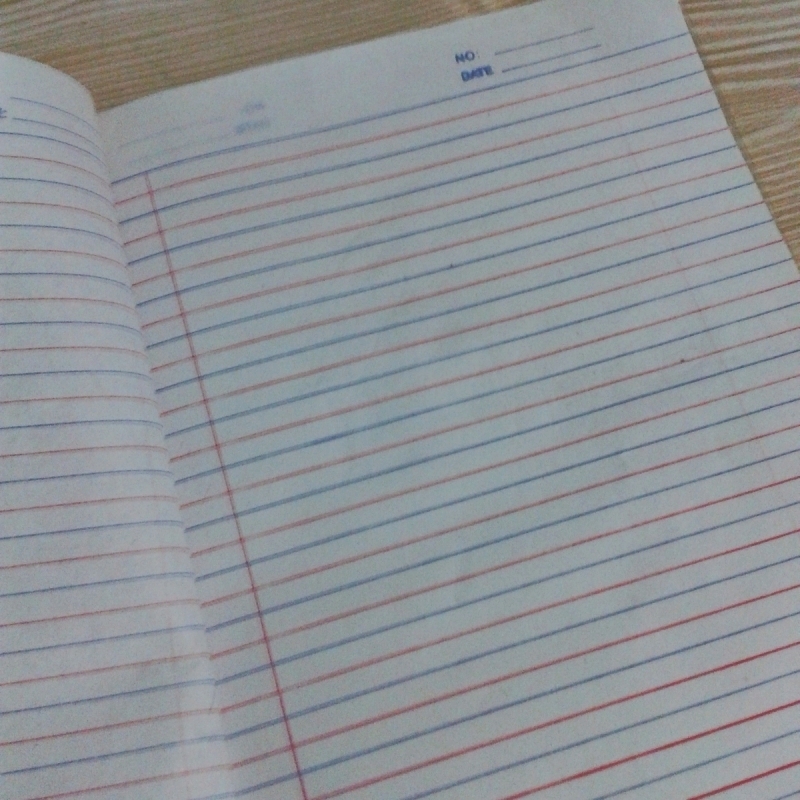 I'm satisfied with the quality of the paper and the printed red and blue lines. 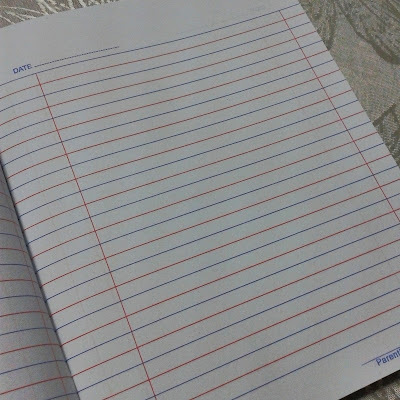 Each leaf of the notebook is thicker than most of the writing notebooks sold. 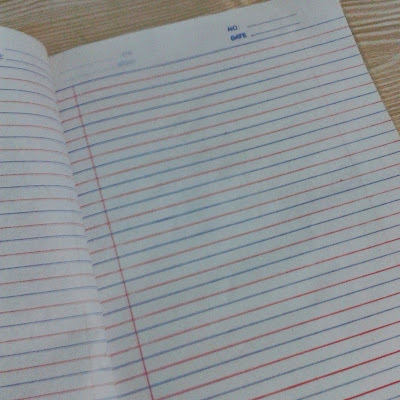 The paper is clear white as well. 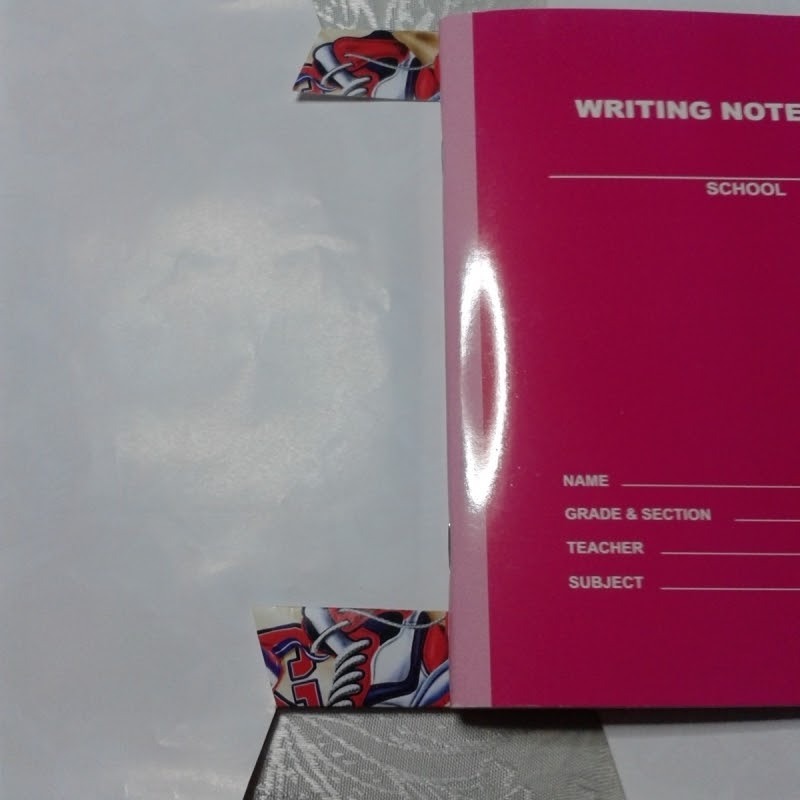 This is the closest, maybe even better, to the school-logo-printed notebooks sold at my son's school. Winner pa is that it's almost half the price! Below is the image of the writing notebook sold at my son's school. Quality wise, it's better than most notebooks sold at the popular bookstore we grew up with. 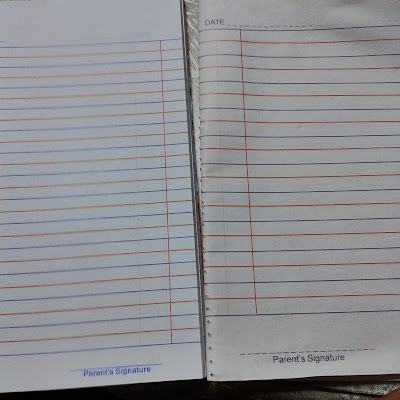 But when I placed them side by side, the writing notebook I bought at the bookstore for almost half the price his school notebooks is at the left, while the notebook sold at his school is at the right, the former's paper was whiter than the latter! With this, it's confirmed, my purchases were of quality and more practical choice. 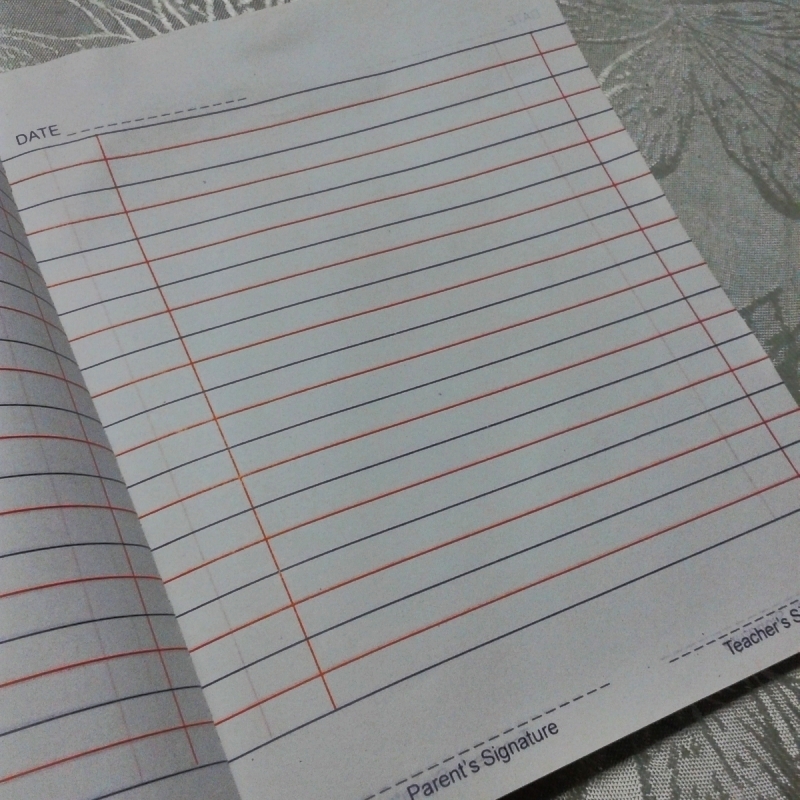 The character notebooks were the same price as this one but with poor quality. The only CHALLENGE was, it only comes in one color: PINK! I don't think my son would appreciate it being seen in school with pink notebooks. 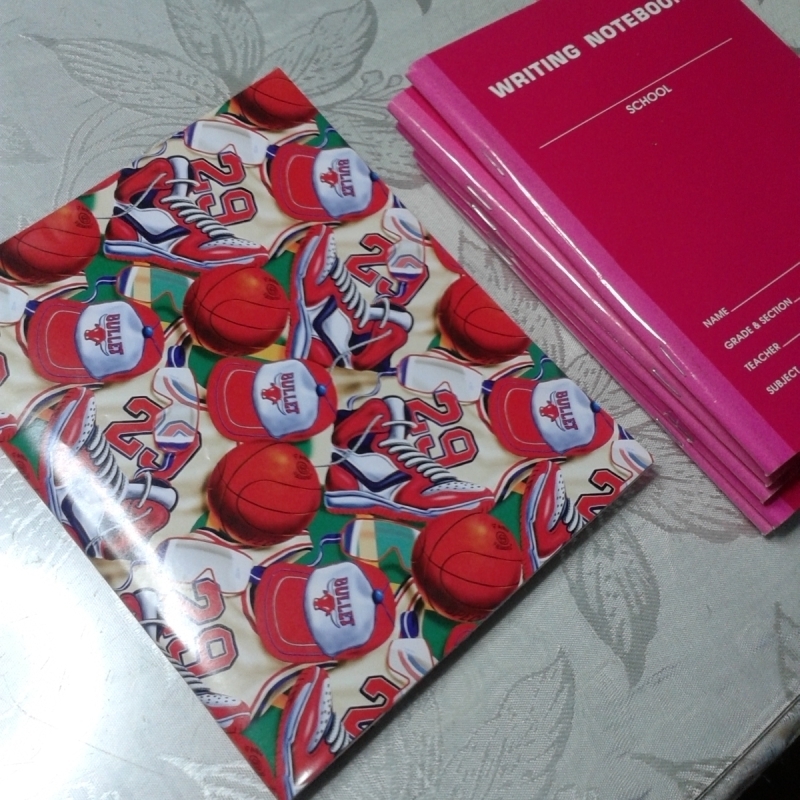 The solution is, cover the notebooks with boy-looking wrappers. 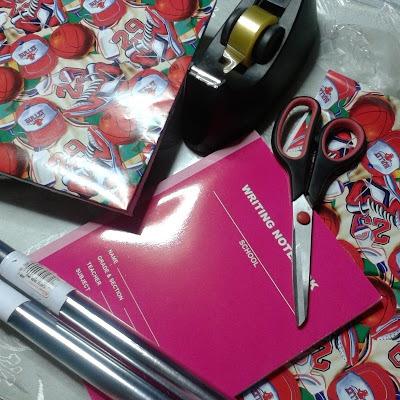 Gift wrappers cost between P3.00 - P7.00 in bookstores. 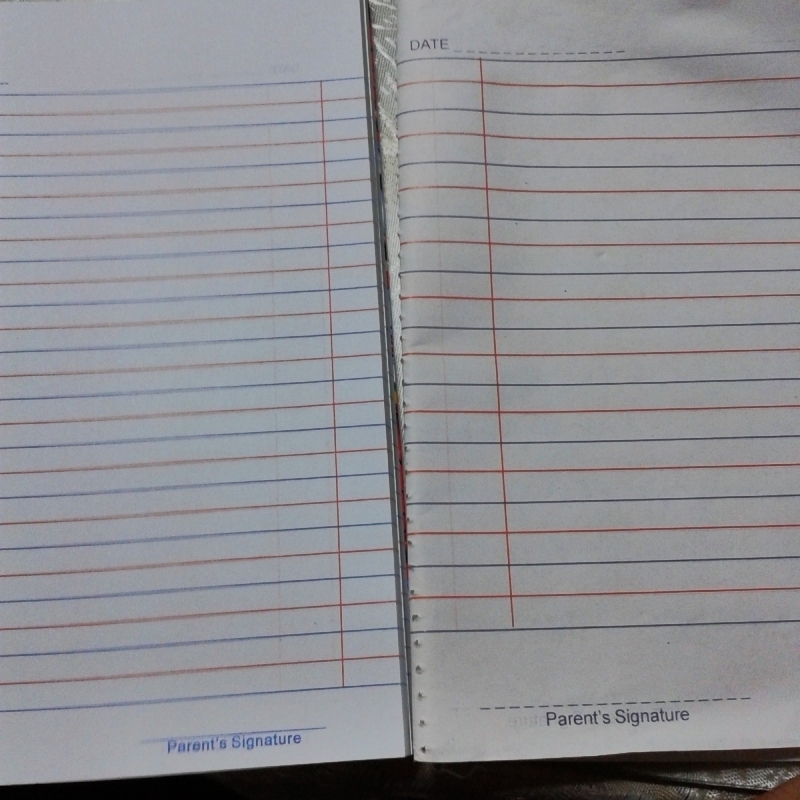 In one wrapper you could cover 2-3 notebooks. 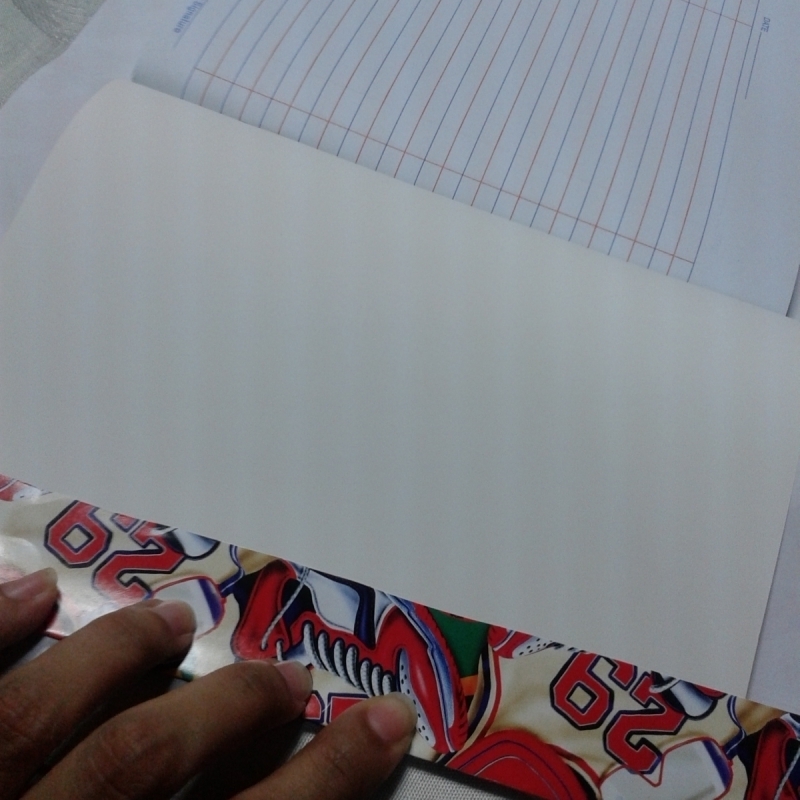 Let me show you a step by step on how to easily cover notebooks, should it be your first time to do so. I've been covering notebooks and books since I was a student myself. It's a therapeutic activity for me. 1. 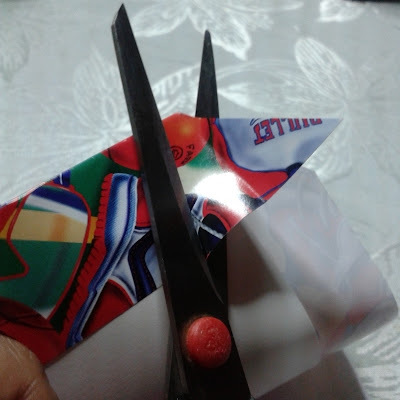 First, cut the gift wrapper into the size of the notebook you are covering. An inch per side allowance is ok.
2. 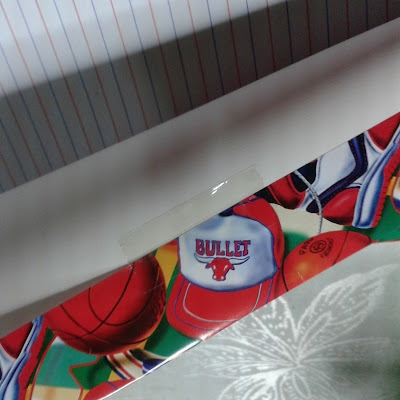 Center the notebook onto the wrapper, fold one side of it onto the hard cover (could be front or back) and secure it with a scotch tape. 4. At the inner end/near middle part of the notebook where the leaves are binded/stitched/stapled, make a diagonal cut starting from the end of the wrapper to exactly where the notebook lies. 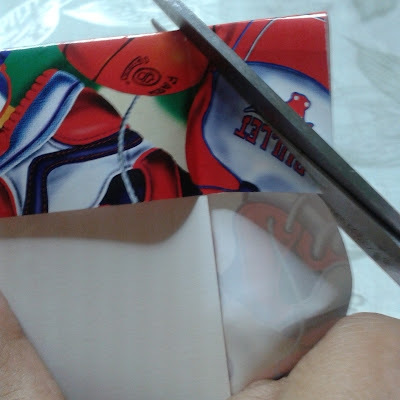 Do the same for all four sides of the wrapper. 5. Open/spread the wrapper as seen below (the side which you didn't secure with a scotch tape) and fold inwards the part where you cut it. 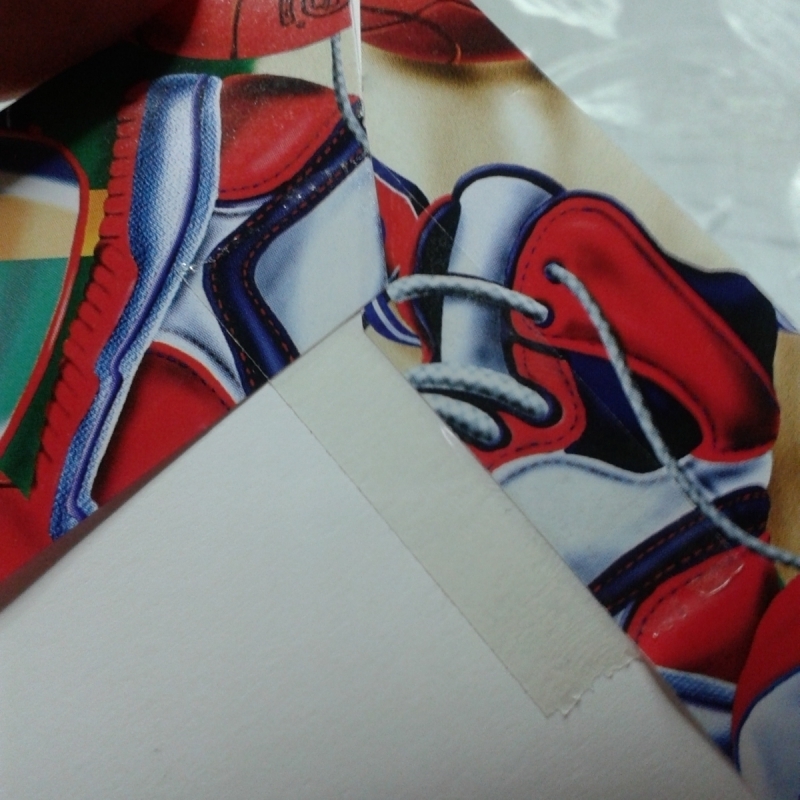 The folded parts should be aligned with the notebook's tips for a neater look. 6. Now re-fold the side of the wrapper which you laid open on #5, and this time, secure it with a scotch tape. At this part of the process, you've secured the sides of the notebook, front and end covers.We'll now deal with the top and bottom parts of the notebook in the next few steps. 7. Open the notebook and let's start with the front cover. 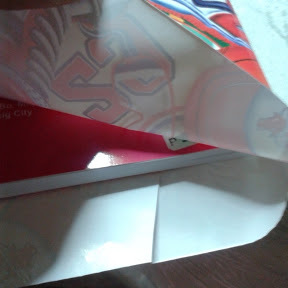 Cut the wrapper diagonally at least an inch from where the folded wrapper meets, to the corner of the notebook as shown below. 8. Do the same on the other side of the notebook's corner. Do step #7 and this step on all remaining corners. The finished/cut corner/s should look like this. 9. 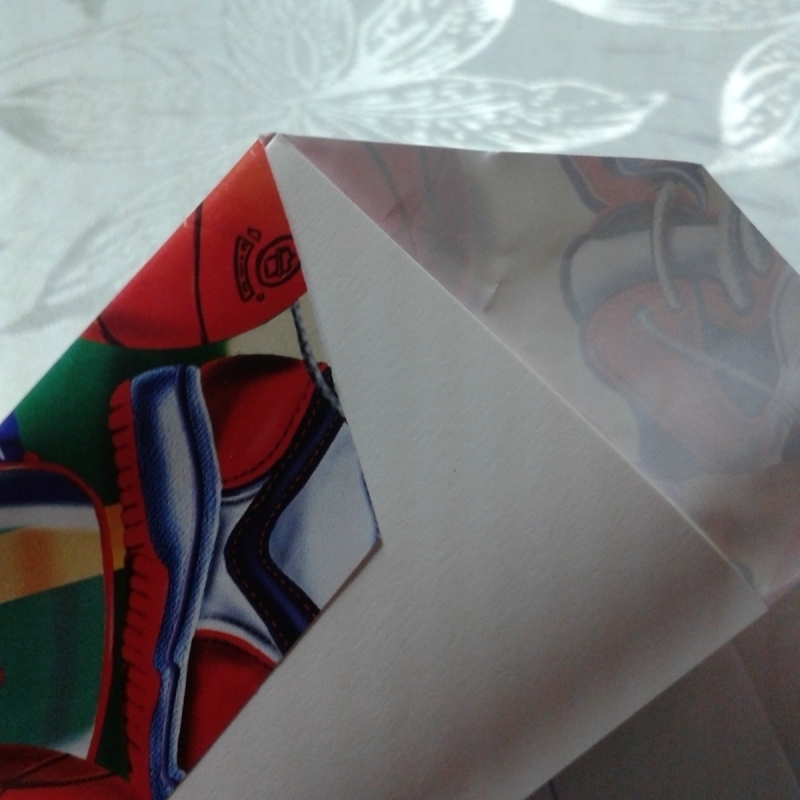 Fold the top part of the wrapper to hug the notebook and secure neatly with a scotch tape. Do this on all remaining corners. 10. Voila! 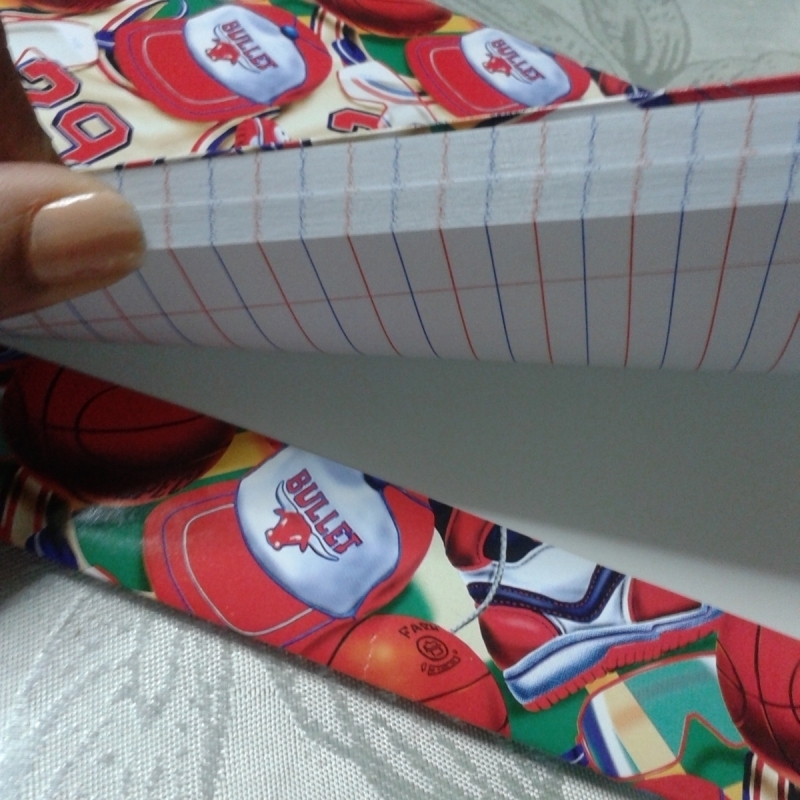 You've successfully covered the notebook with a wrapper of your child's choice. It's recommended that you still use a clear plastic to cover the writing notebooks of your child/ren to protect it from liquid spills or pre-mature deterioration. thank you for this blog, mom like me had an idea to amaze our children..